When you&apos;re building yachts that cost tens of millions of dollars, it&apos;s crucial to give them a sophisticated, polished appearance, inside and out. While most people don&apos;t normally think of paint as one of the means to this end, a flawless, durable exterior finish is every bit as important as high-gloss woodwork and top-notch furnishings. 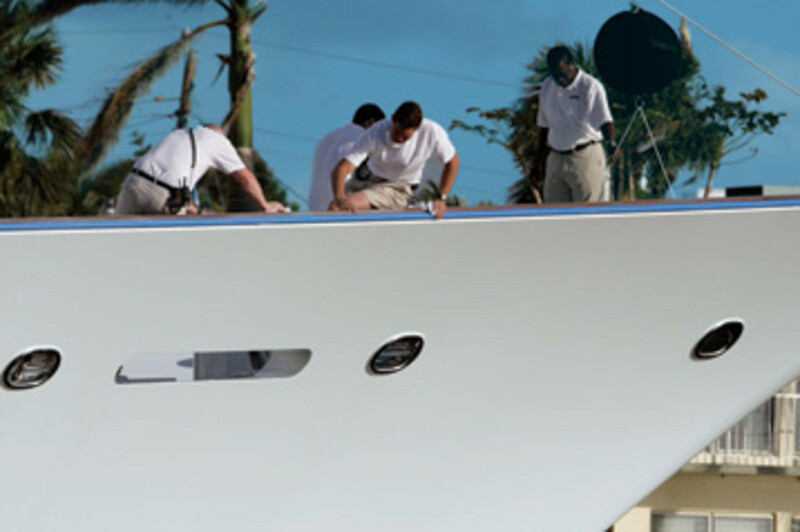 And when it comes to yacht paint, one of the most popular options is Awlgrip. Indeed, the brand has actually become a verb, as in, "I&apos;m having my yacht Awlgripped." 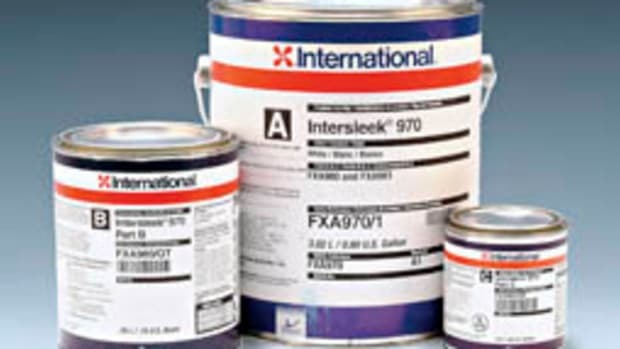 Westport, Hargrave, Heesen, and Christensen are just some of the builders who use the paint on a regular basis. 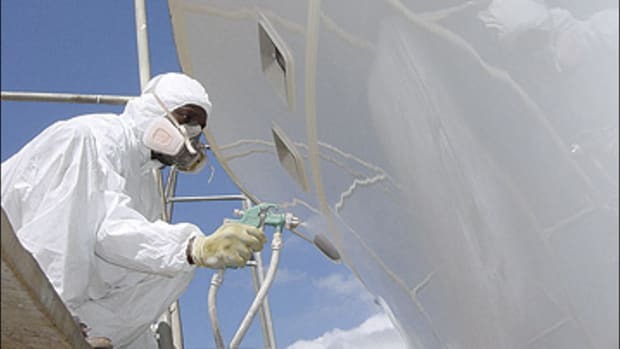 The name Awlgrip has been around since 1971, but its megayacht presence really took off in 2002 after it was acquired by the Dutch coverings manufacturer Akzo Nobel, which invested millions of dollars on research and development, paying particular attention to linear polyurethane (LP) paints, two-part products that produce an automotive-quality, high-gloss finish that is durable and long-lived. Regular washdowns along with the occasional use of spot and stain removers are the recommended maintenance routines. Other factors have contributed to Awlgrip&apos;s success. 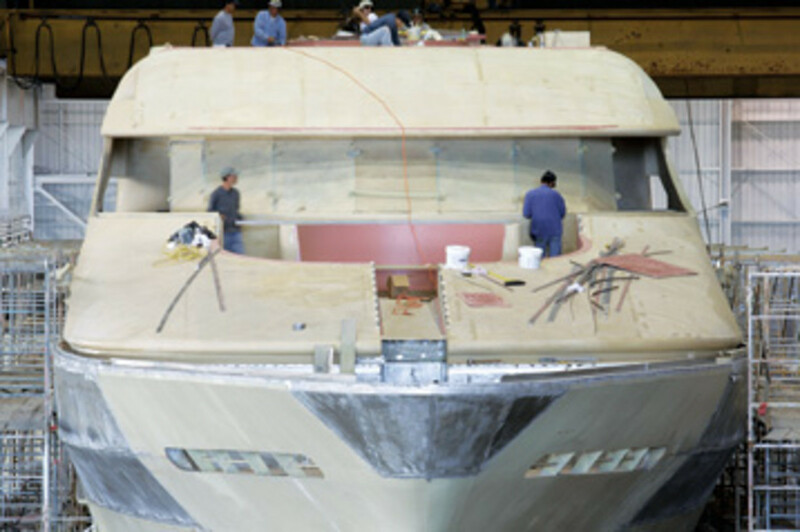 Heesen Shipyards&apos; vice president of sales, Thom Conboy, a 25-year marine industry veteran, says a principal factor has been the company&apos;s technical reps. It&apos;s well known that despite its outstanding results, LP paints pose hydra-headed challenges, everything from significant surface-preparation requirements to the considerable skill necessary to get a perfect finish. 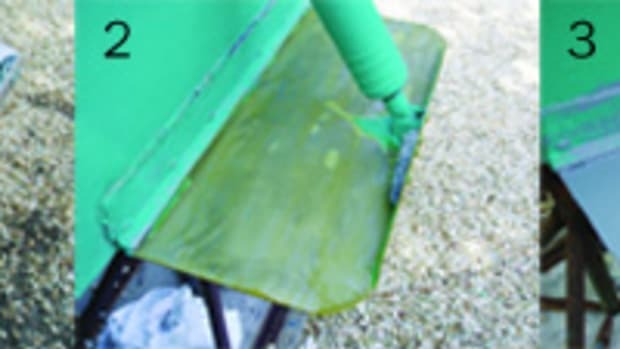 Conboy says that Awlgrip&apos;s technical reps are always available to yard managers and other paint professionals with advice on how to achieve the best results. Therefore, says Conboy, "our applicators do a great job, and [the paints] lay down very well." He points out that such positive results are symbiotic. The handsome finishes produced by proper application techniques attract the attention of potential owners and charterers as well as other builders. 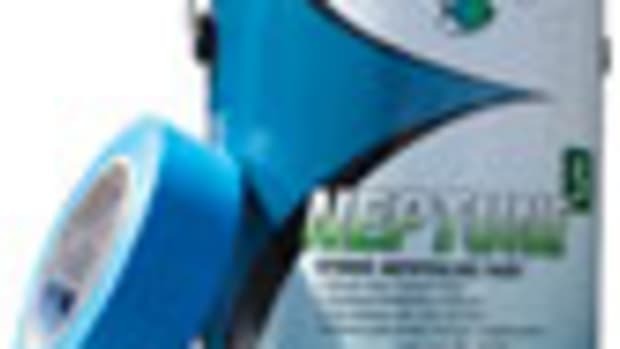 As for that pristine finish, Awlgrip has developed a line of paint-care products called Awlcare. According to Awlgrip, the combination of Awlcare products and frequent washdowns is all that&apos;s needed to maintain the showroom-brilliant finish. But megayachts are often world travelers, and in the course of their travels, some damage to the paint is inevitable. What happens when a captain and crew find themselves in some far-flung locale and their vessel needs a touch-up? 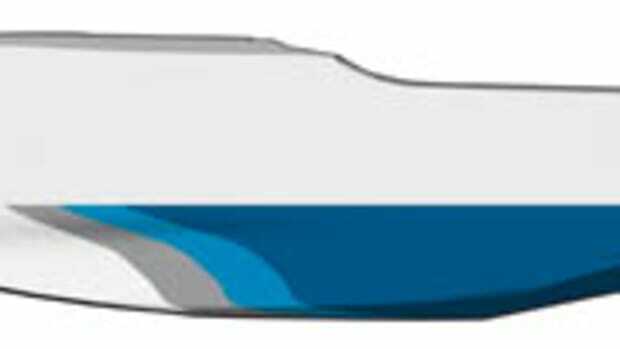 No problem, says Conboy: "The color match is exactly the same all over the world," and he rattles off the names of exotic ports of call where one would be hard-pressed to find anything, let alone yacht paint, yet where Heesen has gotten service assistance. Westport vice president of sales Phil Purcell agrees: "It&apos;s easy to work with and easy to repair. And its held up well. We do 12 boats a year with them." Careful preparation is key to a longer-lasting finish. But Awlgrip&apos;s success is not just about product reliability and worldwide service. As environmental regulations have become stricter all over the globe, these issues have become more of a concern for both manufacturers and buyers. Awlgrip has addressed the issue by adopting the standards espoused by the Washington, D.C.-based National Paint and Coatings Association. Called Coatings Care, this voluntary program is designed to protect not only the environment, but workers, too. One facet, Project Stewardship, requires manufacturers to take responsibility for their products throughout their life cycle, from manufacturing and packaging to delivery, marketing, and disposal. 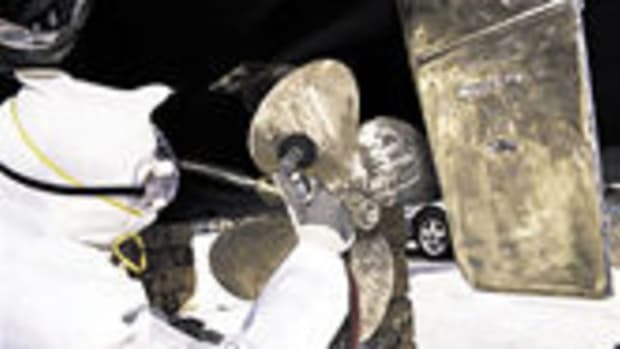 Awlgrip says it was one of the first marine paint manufacturers to adopt these standards and that it is busy working on products that will comply with future regulations. It&apos;s that kind of attention to detail that has kept Awlgrip&apos;s clients happy, allowed it to offer "everything across the board" as Conboy describes it, and led to a product name becoming so well known and widely used, it&apos;s virtually a household term.